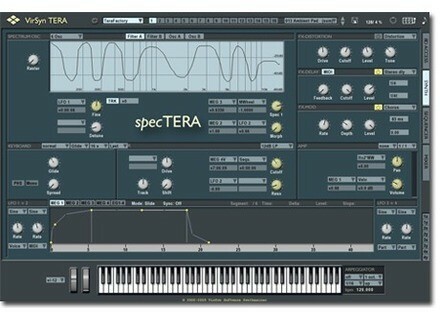 Tera3.x, Virtual hybrid synth from VirSyn. VirSyn announces that three of its virtual synths are now fully ported to 64-bit format and are on sale for this special occasion. The VirSyn Cube had been the first to go 64-bit, but only for the AU plug-in for Mac. 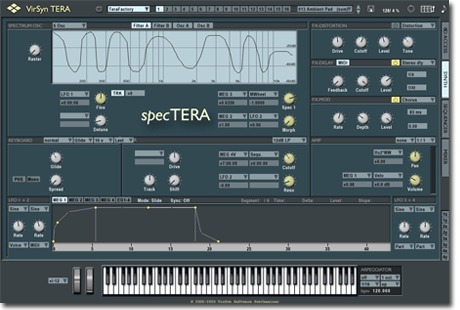 Poseidon followed last June and today, both VST and AU formats are available in 64-bit version, along with the Tera synth. To celebrate the event, VirSyn lowers the price of the three synths to 99€ each, and bundles them for 199€. If you already own the 32-bit versions, the update is free. The promotion is running until September 30th at www.virsyn.de. Cerberus, a bass amp for Reason Kuassa announces the availability on the Propellerhead Rack Extension shop, of Cerberu, a bass amp simulation for Reason.